Professor Jeng's research interests include clinical dentistry, health impact of betel quid chewing habit, manpower of dentists and the education for undergraduate and post-graduate dental students as well as the dental pharmacology, toxicology and material biocompatibility. 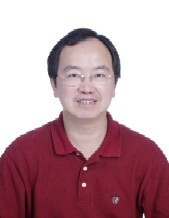 Professor Jeng is a well-known researcher in oral sciences. He has dedicated to study a major health issue "betel quid chewing habit and its health impact" in Taiwan. For his excellent accomplishment, he is invited as an expert in "Betel quid toxicity and related nitrosamine" Monograph edited by the International Agency for Research on Cancer, World Health Organization (WHO) on 2003. He also studied growth factors for oral tissue regeneration and the material biocompatibility with many crucial results. He is invited as an editorial board member of Journal of Dental Research during 2005-2007. He also provides endodontic and periodontal lectures for the students. He further studies the strategy for prevention of betel quid chewing, the future manpower of dentists and the improvement of dental education for students in order to establish a good health policy for the government. - Chin-Shin Medical Award, National Taiwan University Medical College, 2005. - Hatton Award, International Association for Dental Research, 1993. - Reviewer for 21 journals, including Journal of Dental Research, Journal of Thrombosis Haemostasis, Biochemical Pharmacology, International Journal of Cancer, Biomaterials, Cancer Lett, Oral Oncology, Toxicological Sciences etc. 1. Chang MC, Lan WH, Wang TM, Jeng JH*. Antiplatelet effect of sanguinarine is related to inhibition of calcium mobilization, thromboxane and cAMP production. Athersclerosis 191:250-8, 2007. 2. Chang MC, Chiang CP, Lin CL, Lee JJ, Hahn LJ, Jeng JH*. Cell-mediated immunity and head/neck cancer: with special emphasis on betel quid chewing habit. Oral Oncology 41:757-75, 2005. (Review). 3. Chang HH, Guo MK, Kasten FH, Chang MC, Huang GF, Wang YL, Wang JS, Jeng JH*. Stimulation of glutathione depletion, ROS production and cell cycle arrest of dental pulp cells and gingival epithelial cells by HEMA. Biomaterials 26:745-53, 2005. 4. Chang MC, Wu HL, Lee JJ, Lee PH, Chang HH, Hahn LJ, Jeng JH*. The induction of PGE2 production, IL-6 production, cell cycle arrest and apoptosis of primary oral keratinocytes and KB cancer cells by areca nut ingredients is differentially regulated by MEK/ERK. Journal of Biological Chemistry 279:50676-83, 2004.